DeHaan Designs offers state of the art printing technology powered by Zazzle.com to bring you affordable custom gifts and apparel. You can create one shirt or multiples. Zazzle.com now offers affordable custom screen printing for clubs, groups, organizations, and teams. Just load up your art work and customize, then choose from a large selection of merchandise to print on. DeHaan Designs now offers you fully customizable Shirts, jackets, and gifts. Personalized geeting cards and notecards. 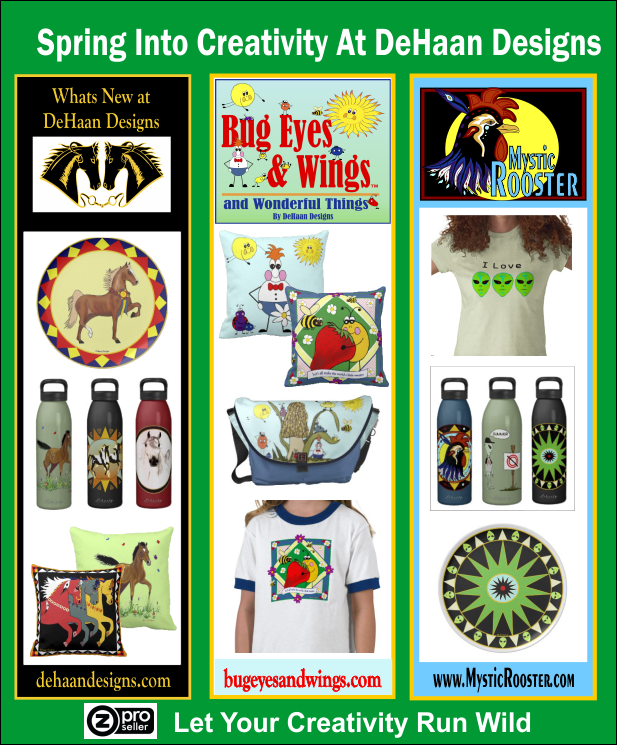 Make Christmas and gift giving easier for the horse lover in your life at DeHaan Designs.